We will purchase, deliver and install 16 clean water purification systems over the next two years in selected locations near San Pedro Sula, Honduras, through funds donated by three South Alabama Rotary Clubs, a Rotarian wishing to make a Major Donor contribution to the project, the San Pedro Sula Rotary Club, funds by District 6880 (US) and District 4250 (Honduras), along with additional matching funds from the Rotary Foundation. Rotary International and the Rotary Foundation have already identified clean water as a major area of focus for grants. 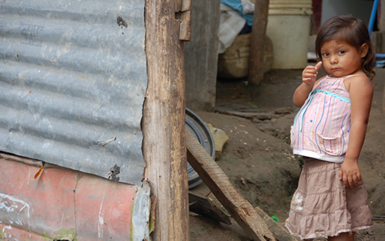 In the rural areas surrounding San Pedro Sula, Honduras, clean water is not available. The absence of clean water is a direct cause of illness in the population, particularly among children. The Fairhope, Mobile and Mobile Sunrise Clubs, their District, a local major donor, along with the San Pedro Club and their district, provided significant seed money to trigger matching grants from the Rotary Foundation. Our Honduran partners partners are discussed below. Site selection and verification of a solid local partner in each target installation site were handled by Wyly and Candy Gammon, two protestant, non-denominational missionaries. Wyly and Candy both originally hail from the South Alabama area and are known and trusted by the south Alabama clubs. Seewww.streetreachintl.com. They have partnered with local ministers and churches to house the systems and maintain them. The beneficiaries of each system will be expected to sign an agreement to maintain the systems in the future and provide water to area residents at a cost designed only to raise enough money to pay for maintenance and upkeep of the systems and discourage waste. It is anticipated that the south Alabama groups will also try to add a medical and dental component for each trip.